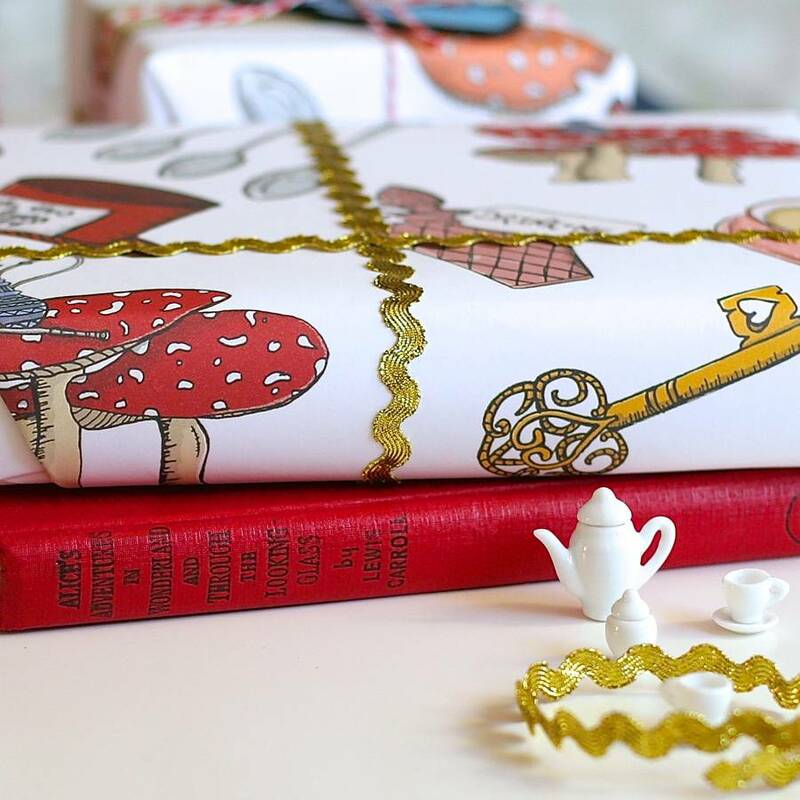 Wrap your presents in a truly wonderful way! 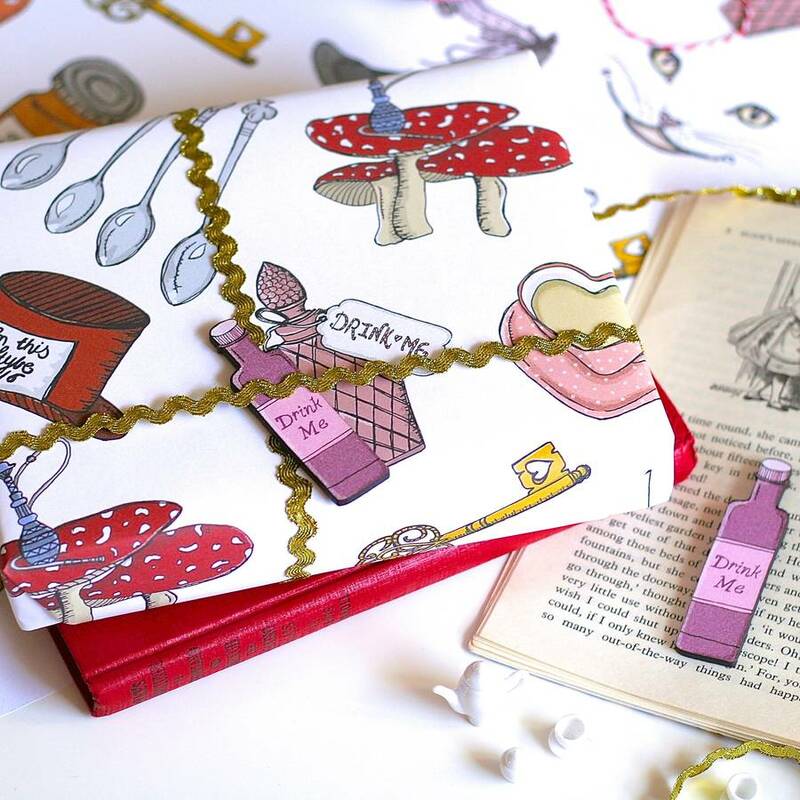 This bookish wrapping paper is covered in beautiful illustrations inspired by the classic novel Alice In Wonderland! 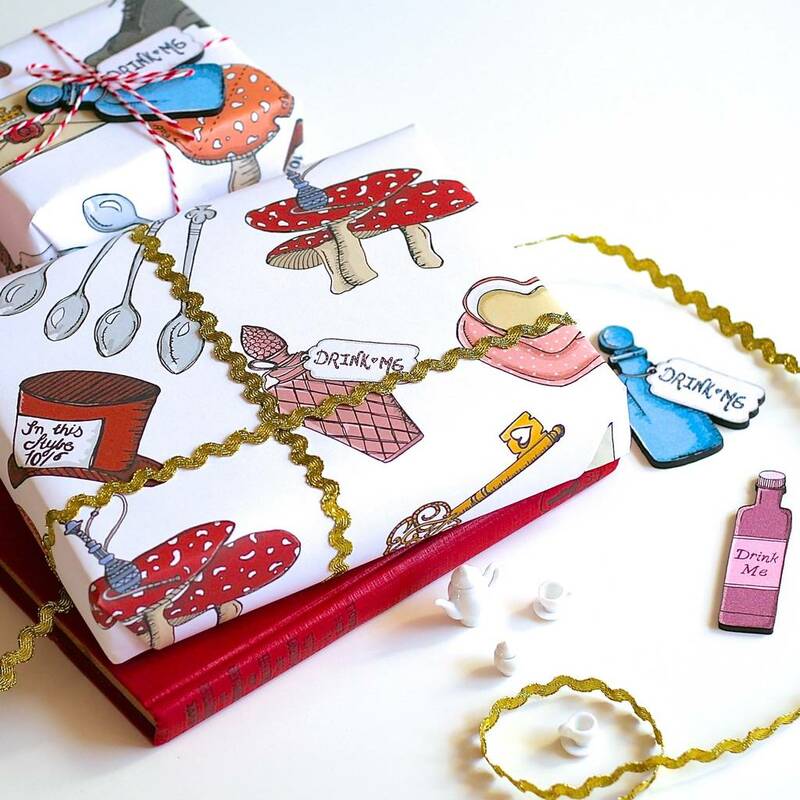 The gift wrap features my original black ink illustrations of an assortment of items from Wonderland; the Cheshire Cat's grin, a 'Drink Me' bottle, an 'Eat Me' mushroom, a key, a tea cup and the Mad Hatter's Hat to name a few! 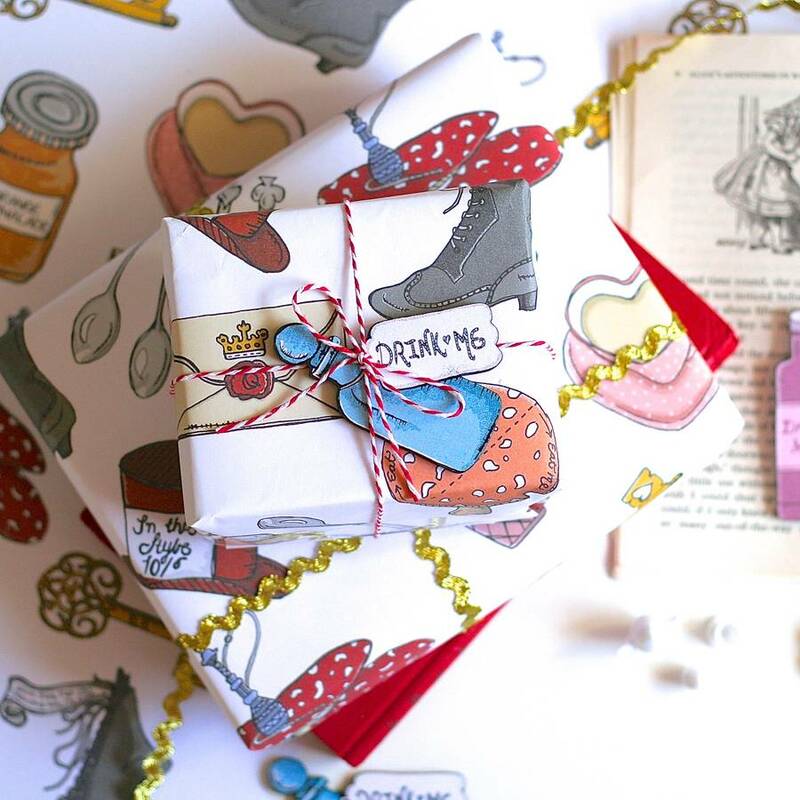 Perfect for birthdays and weddings, or for any bookworm that loves the world down the rabbit hole. Add a finishing touch with gold ric rac ribbon and red baker's twine, and matching wooden 'Drink Me' bottles. Printed by a UK based eco-friendly printers, from my own beautiful drawings, onto 100gsm 100% recycled paper. Your gift wrap will arive beautifully packaged, folded in cellophane or rolled in a tube. 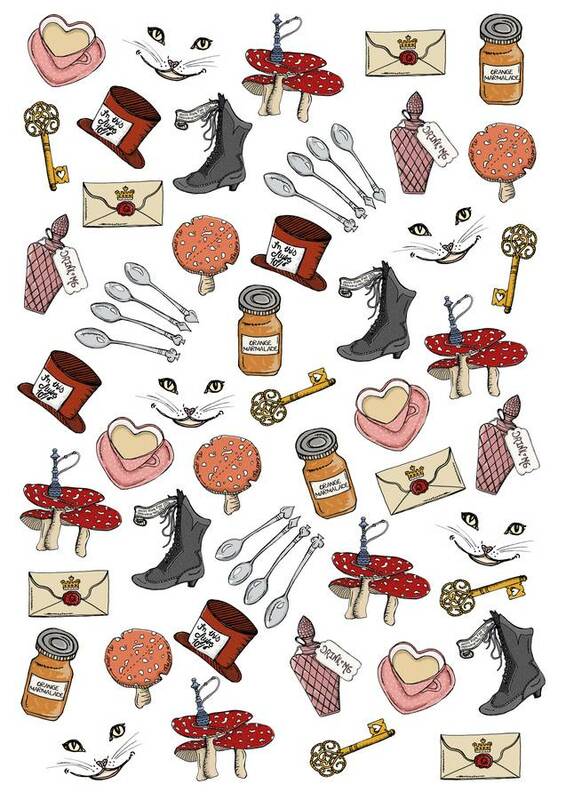 This is an A2 sheet of gift wrap measuring approx 59cm x 42cm. Each 'Drink Me' bottle adornment measures approximately 8cm and features a laser cut paper design mounted onto wooden board, with a painted black back. This product is dispatched to you by Laura Crow.